Luxurious Edgartown waterfront estate with award-winning infinity pool surrounded by 150 acres of conservation land. This quintessential summer escape offers views, location and lifestyle. Deluxe amenities abound in this 8,000 sq ft custom built compound, the main house includes four bedrooms and five baths. A fully equipped gourmet kitchen with top of the line appliances and beautiful stone fireplace with sitting area add the perfect touch. Private guest quarters located above the garage includes separate bath, kitchen and living area. Elegant craftsmanship and attention to detail throughout the design of this home, everything state of the art. The bluestone patio, custom built stone gas grill, entertainment bar and sink and professionally landscaped grounds add to your summer outdoor entertaining. It s everything that you and your family could possible need for a spectacular Vineyard experience. 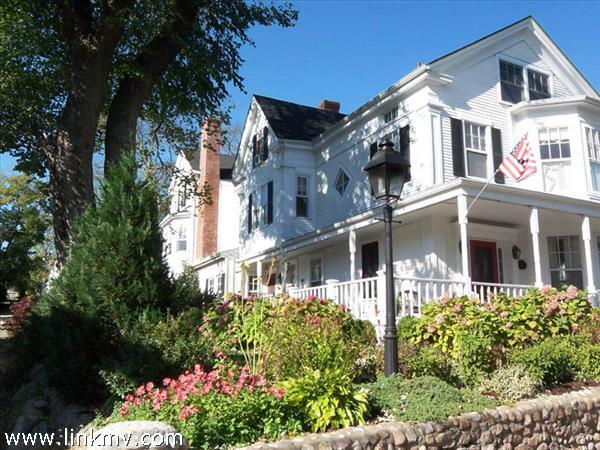 Elegant waterfront home on Eel Pond with private pool and carriage house suite. Spacious open interior with great attention to detail and full of amenities. Beautiful grounds and large patio area for outdoor entertaining. Located in desirable Edgartown, convenient to downtown area - boutique shopping, restaurants, galleries, cinema and harbor stroll. The house itself is spacious with elegant details, state of the art systems, and an attractive floor plan. Craftsmanship quality in this 5,400 square foot home is everywhere, from the kitchen, with its granite counters, center island with copper counter, custom cabinetry, and tile floors & backsplash. To the living areas and bedrooms, that include heart pine flooring, high-ceilings with exposed wood beams, wainscoting and moldings. And, the bathrooms, with their high-end fixtures, tile flooring and custom elements. The kitchen includes a Sub-Zero refrigerator, eight-burner, gas, Viking, stovetop, and two Bosch dishwashers. Heating/AC system includes a Viessmann boiler, forced hot air heat and air conditioning, and radiant heat in the lower level. Floor plan includes a number of bonus areas, table tennis room, media/TV room, wine cellar with brick floor and cedar paneling; two master suites, and an open main level that centers on the living room, which includes cathedral ceilings, fieldstone fireplace, and egress to exterior decking. Many rooms with water views. This beautiful home features all of the finest amenities as well as a heated pool for outdoor entertaining and enjoyment and just recently put tennis court. 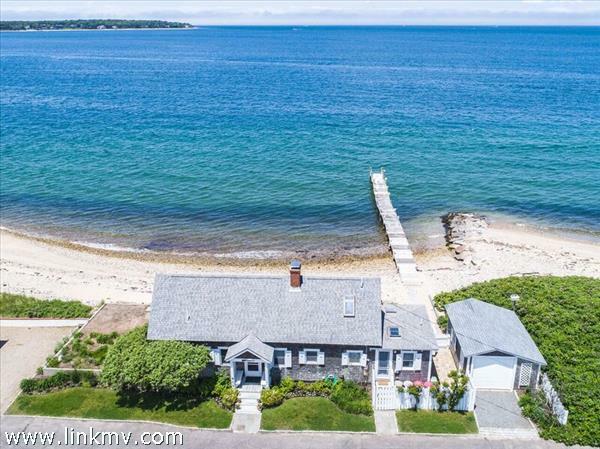 Located in one of the most exclusive associations on the Vineyard, this five bedrooms home offers some of the most stunning water views the island has to offer. This home includes spacious decks, vaulted ceilings, and all the amenities one expects in a premier property. Tenants have access to both the association and homeowners beaches. The Dexter House is part of a spectacular two house waterfront compound situated on the historic Edgartown harbor. The complex is lovingly crafted from the finest materials, fabrics and hardware. 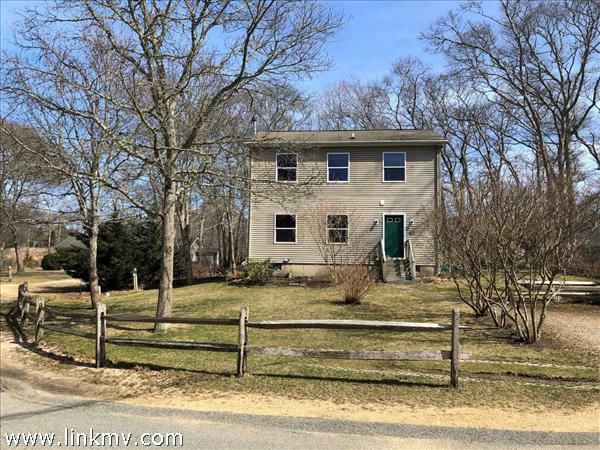 Wonderful bright airy living, kitchen, dining loft overlooking the old harbor with spectacular views of Chapaquidick and Vineyard Sound. You can dine, sunbathe or just watch the world go by on solid teak furniture out on the adjoining deck. State of the art electronics, digital satellite and high speed internet access available. A slip for up to a 17 ft boat and one parking space is included.